Design a shot glass for the lucky groom's bachelor party...lucky?...meh, sure. Get some shots for all the guys. Don't worry, group discount for 6 or more will help cut some of the cost and hopefully cover the next round! 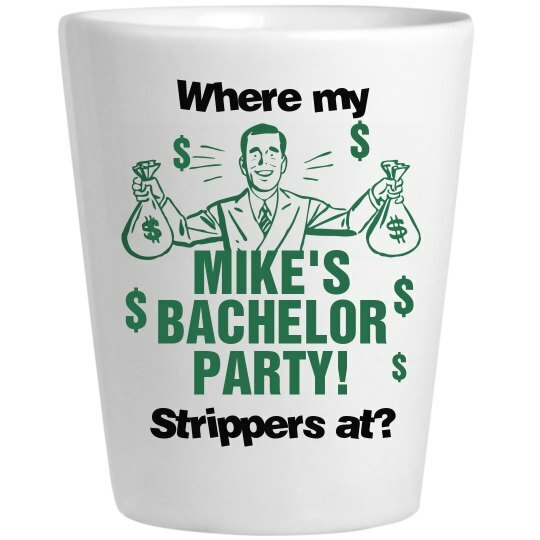 Custom Text: $ | $ | $ | $ | $ | $ | MIKE'S | BACHELOR | PARTY! | Where my | Strippers at?